Well, the election is now in the past and your phone should stop ringing a little and the Pillow Pets advertisements can return to your television. I must admit, I am a politics geek. I was up until 2:00 A.M. early Wednesday morning flipping around through all of the networks as the results trickled in and states where filled in red or blue. I was not surprised by the results of the election. It pretty much fell together how I had thought. I am not going to lie and say I am some great prognosticator, the truth is, I have been following The FiveThiryEight Blog since early 2012 and that is what prepared me for election night. If you have never heard of the 538 Blog, or Nate Silver (the geek behind the blog) you should really take some time and check out what it has to offer. Silver is a Michigan guy (East Lansing High School) and started in the world of baseball stats before jumping into elections. For the election, Silver took into account polls and numbers from across the country. He simply looked at the election as numbers, and who has the better chance to hit 270 Electoral College Votes. Really when it comes down to it, that is all the presidential election is, a race to hit 270. He avoided pundits that would try to add elements like voter excitement, crowd size at rallies and historic voting trends (undecideds moving toward the challenger at the end of an election) while updating his projections. Silver used a simple method, he stuck to actual poll numbers in the states to determine the likelihood a state would vote for either candidate. He also had a model to help predict the national popular vote. 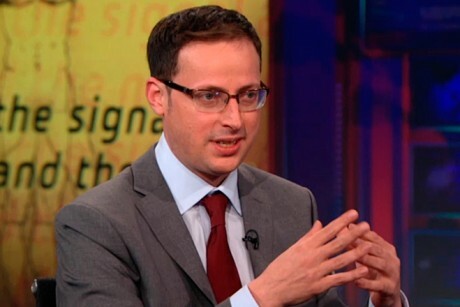 Nate Silver, 2012 Geek of the Year? On the morning of the election, Silver updated his blog, giving President Obama a 90.9% chance of winning the Electoral College based upon his data. He was taking quite a bit of heat from national pundits on election day, but Silver stood by his numbers. It turns out, besides President Obama, Silver may have had the best night on election night 2012. His numbers were spot on, including predicting Florida and Virgina for President Obama. He has been all over the news as of late, including this piece proclaiming 2012 the Year of Prediction Geeks. Of course he is using his fame to plug his new book, The Signal and the Noise: Why so Many Predictions Fail-but Some Don't, which jumped to #2 on the Amazon.com best seller list after the election. I may have to check it out for my December 2012 Read of the Month. Did you follow the election closely? Did you follow Silver's 538 blog, or any other daily prediction sites? I personally love to see a Geek succeed, and Nate Silver's story is a great success story.